The Pirates soccer team took their six-game winning streak on the road last week in their final week of regular season play. 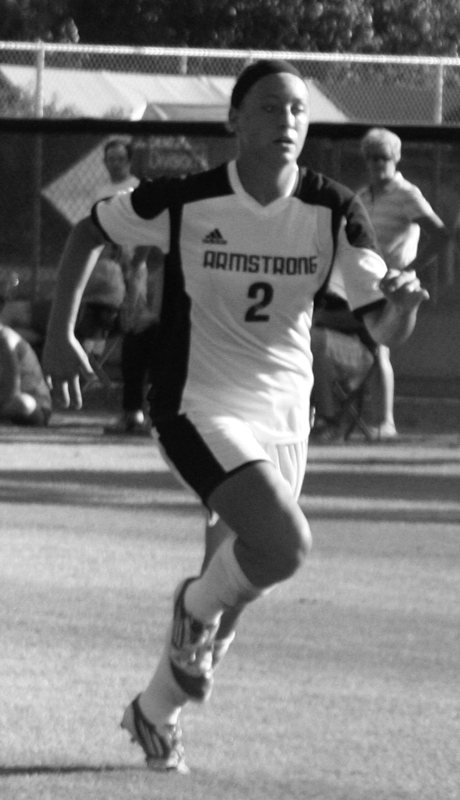 Armstrong played Flagler College Oct. 29. The Pirates needed an early second half rally to win their sixth straight game. The Pirates seemed to be moving on to a dominant victory early on as they held a 7-1 shot advantage. However, the Saints’ Aubree Denton gave her team a 1-0 lead at the half after she blasted a shot from long range that bounced off the crossbar and rolled into the goal during the 45th minute, stopping the Pirates’ shutout streak at 502 minutes and 31 seconds. The Pirates came out hot and determined in the second half, dominating the first 16 minutes of play. Taylor Valley capitalized on a rebound shot from Jenny Allen and tied the game at 1 in the 50th minute. Valley again scored and gave her team the lead just under three minutes later. Sarah Olin pushed a goal into the net in the 58th minute and Allen scored her 13th goal of the season three minutes later, which put the score at 4-1. The Pirates continued to roll as Ashley Green put home the final goal and gave her team the definitive lead of 5-1. The win put the Pirates at 12-3 with an 8-2 Peach Belt Conference record. Their win along with North Georgia’s loss to Lander guarantees that the Pirates will host a home game in the first round of the PBC Tournament. The Pirates were scheduled to play Lander on the road Nov. 1, but the game was canceled due to snow. The Pirates were not able to make up the game and in turn fell to the third spot in the PBC. Jenny Allen knows they have been working hard to get to where they are now. They feel confident going into the PBC Tournament.